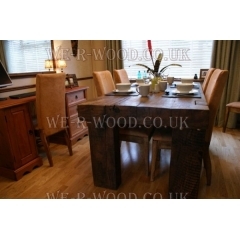 The Dining Table is the centre of attraction in any room. 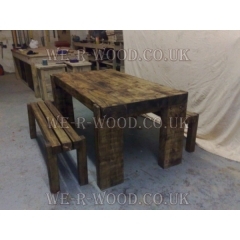 We can make these in any size or style to suit your tastes. 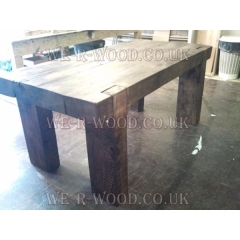 Select from a range of traditional and contemporary oak beam, beam and plank dining tables with accompanying seats and pews to match. 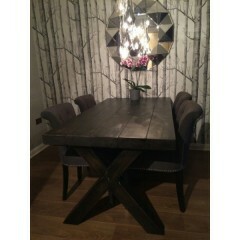 3 x 8 Slim Oak Beam Dining Table made from solid oak beams and cut to 75mm x 200mm and finished..
Our hand crafted, hand finished wooden bespoke 4 x 8 Beam Dinning Table can be finished in wax, lime..
Our hand crafted, hand finished wooden bespoke 5 x 5 Plank Dinning tables can be finished in w..
Our Cross Leg Dining Table with is hand crafted, hand finished wooden bespoke Dinning Tabl..
Oak Beam Dinning Table with 6 Chair's made for 60 Minute Make Over Our hand crafted, hand finishe..
Our Plank Dining Table with is hand crafted, hand finished wooden bespoke Dinning Table can be ..
Ex Demo - Plank dining table is sure to make dining more memorable to your dining room to creat..
Our Plank Dining Table with End Drawers is hand crafted, hand finished wooden bespoke Dinning Table .. 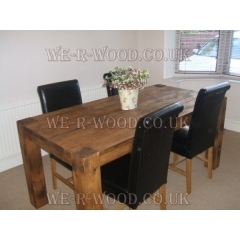 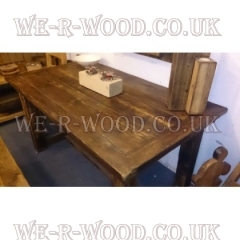 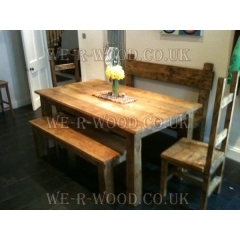 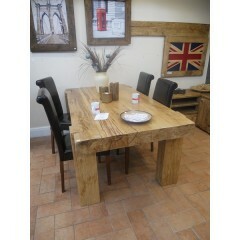 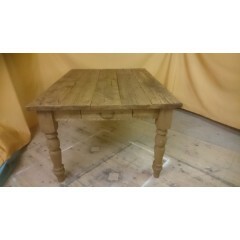 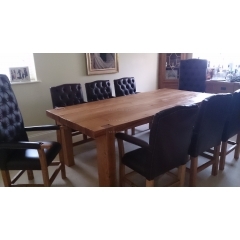 Solid 4 x 8 Oak Beam dining table is set upon stylishy chunky legs made from solid oak beams this se..
A 5x10 beam dining table is set upon stylishy chunky legs this set is sure to make dining more ..